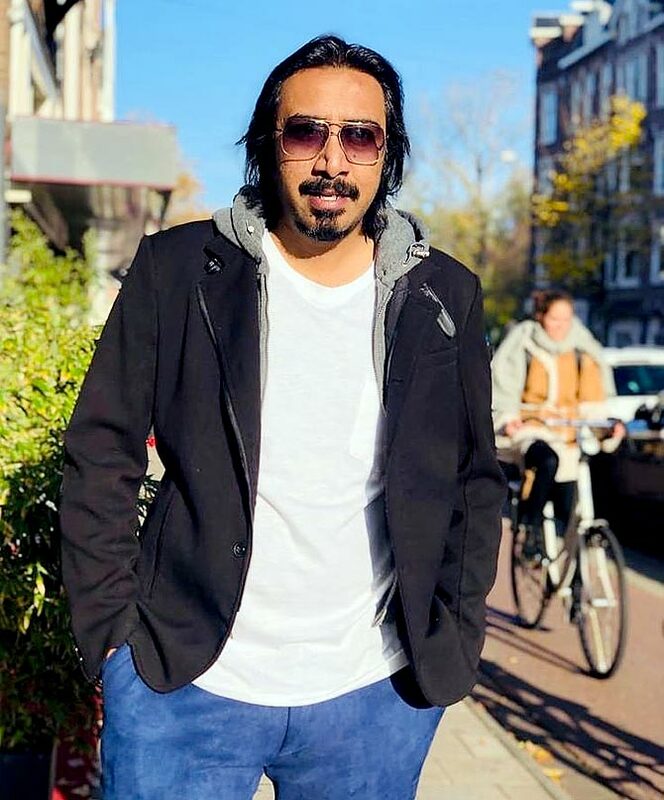 After becoming a doctor in 2007, Arko Pravo Mukherjee, popularly known as Arko, gave up his lucrative medical career to become a music composer in Bollywood. It took him three years before he landed his big break in Mahesh Bhatt’s Jism 2 in 2012. There has been no looking back. 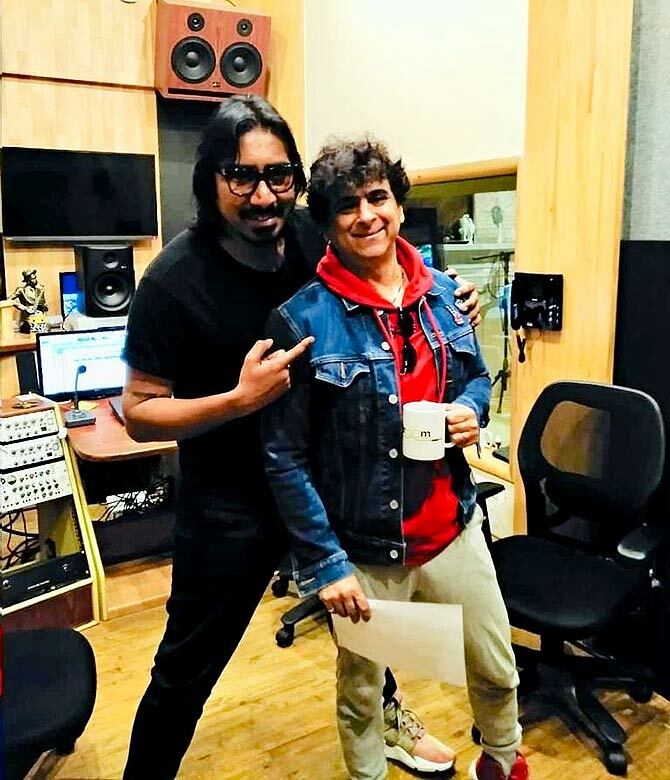 His latest song, Teri mitti, which featured in Akshay Kumar’s period drama, Kesari, has become quite popular, with Akshay calling it his favourite number in his 27-year-long career. "We should never forget we have only one life. We should live it doing what makes us happy. In life, you can learn many things with practice, but creating music is a gift. Can you teach anybody how to make a song? No," he tells Rediff.com Contributor Mohnish Singh. Teri mitti from Kesari has become quite popular. 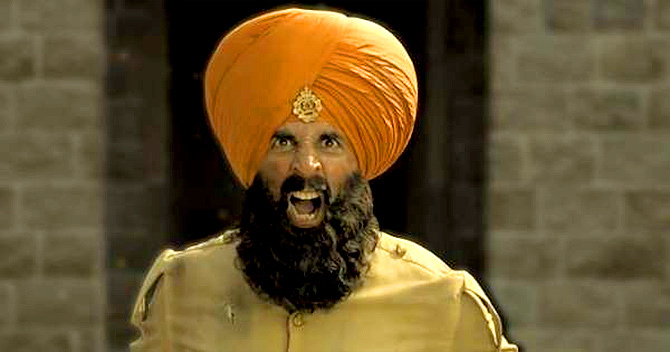 As you have seen, Kesari is a big film with a big canvas. It took around a year to finish; I had shared this composition with Karan before that. When I composed this song, it had different lyrics. Whenever I compose, I mostly collaborate with lyricist Manoj Muntashir. When I had shared this tune with Karan, the plans were different. But when Kesari wrapped up, the director of the film, Anurag Singh, told me it should be the title track. Then, it needed a fresh approach and new lyrics. It needed to sound like a ballad of soldiers and martyrs, as the song was their tribute to their motherland. I know Manoj’s standard of writing, especially in this genre. He writes such beautiful shayari. He has written a book also. So I immediately called him up and we cracked the song. He has written such powerful lyrics that Teri mitti has become once-in-a-lifetime kind of a song for us. When Manoj was writing this song, he was very emotional. We have done a couple of songs before like Tere sang yaara (Rustom) and Kapoor & Sons’ Saathi rey where all of us wept profusely, including Sonu Nigam. I cannot imagine anyone else singing this song but B Praak. Akshay Kumar has been showering a lot of praise on this song. Yeah, I heard that at some reality show, Akshay Sir said he has featured in over 700 songs in his 27-year-long career, but Teri mitti is his favourite. He is such a senior actor. I have been watching his films since childhood, though he still looks younger than me (laughs). It means a lot when an actor of his stature praises your work. WATCH: Arko sings Teri mitti from the film, Kesari. You have a medical background. What made you leave that behind to pursue a career in music? Everybody leaves something behind in order to fulfil their dreams. In my case, it was a medical background. A lot of eyebrows were raised because you hardly see anybody leaving a safe and secure profession like medicine. I was a gold medallist in my university. But we should never forget that we have only one life. We should live it doing what makes us happy. In life, you can learn many things through practice, but creating music is a gift. Can you teach anybody how to make a song? No. WATCH: Arko sings Nazam nazam from Bareilly Ki Barfi. When did you realise you had this gift? I knew about my talent since I was in school. I knew it I could do it, despite the fact that nobody in my family was even remotely connected to the field of music or films. I don’t have a film background. IMAGE: Sunny Leone in the Abhi abhi song in Jism 2. How did you bag your first film, Jism 2? I had been trying my luck for three years. I had even done two films before signing Jism 2. One film did not release, the second one never took off. I used to write for the Universal label back then. I also did a music album with them in 2009-2010. At the end of 2011, I met (Mahesh) Bhattsaab through a friend of mine -- (actor) Prashant Narayanan, who was the main villain in Murder 2. Prashant and I used to have music sessions at his place because he was very fond of music. One day, Prashant told Bhattsaab about me. So Bhattsaab called me to his office early one morning. His office was at Juhu before it shifted to Khar (both in north west Mumbai). I did not know that, so I went to his Juhu office. When I reached there, I learnt about the new office and rushed to Khar. Bhattsaab was angry because I had not reached on time. He decided to give me only 10 minutes and asked me showcase my talent in that time. So I played the songs Maula and Abhi abhi on my guitar and he really loved them. He is very instinctive. If he is convinced about something, he does not care what other people think. Then, it does not matter whether you are a newcomer or well-established. He immediately called Mukesh (Bhatt) and Pooja (Bhatt), saying, "Some mad doctor has come from Kolkata. He has two amazing songs which fit the narrative of Jism 2." That’s how I got Jism 2. Nothing was happening for three years and then, suddenly, things changed in a flash. WATCH: Arko sings Abhi abhi from Jism 2. Besides music, I was also drawn to literature and poetry. At one point in life, I wanted to study English Literature. I was confused between medicine and English. But people said there was no future after studying English. When you tell your family that you want to compose songs or write something, they don’t take it seriously. They think it is a hobby. That is one of the reasons I started so late. At 25, I left medicine (in 2007) and got into music. WATCH: Arko sings Tere sang yaara from the film Rustom. Was it difficult for you to convince your family about your new career? Parents want security for their kids. They want them to opt for safe careers which pay well. Parents always fear risk. Even I will be very scared if my son takes some kind of risk in his career. But the thing is: Dar ke aage, jeet hai (laughs). Now, since I am happy, my family is also happy. WATCH: Arko sings O saathi from the film Baaghi 2. What is your take on recreating old songs? I have recreated some songs myself, so I have nothing against the trend. Every coin has two sides. The positive side of recreating songs is that a generation that has not heard the old songs gets a chance to listen to them. I have recreated one of Nushrat Fateh Ali Khan’s songs. He is one of my favourite artistes. For a lyricist, it is an original song because he is writing original lyrics for the entire song except the mukhda. For a composer, it is a recreation because he takes the original tune and adds his own flavour. So I don’t have any issue with recreating a song. Having said that, if every old song is recreated, what will happen to composers like us? Every era is known for a particular style of music. I don’t want our era to be known as the era of recreations only. I fear that. I don’t want the market to be flooded with just recreated songs. Why do you think the shelf-life of a song has reduced so drastically? I don’t think it has anything to do with the quality of music. People do not have time for living beings, let alone music. Earlier, music was created with so much patience and time. The creator had a lot of time to create music and the listener had a lot of time to listen to it and marvel at the lyrics and composition. In our childhood, we did not have phones. If friends had planned to meet at a particular spot, everyone would reach on time. If someone didn't, we would wait. Today, nobody wants to wait. Everyone is in a rush. People don’t have patience. No one has the time to listen to music. They listen to songs either in pubs or in their cars. Badshah’s songs are played in pubs and in cars. The attention span is fleeting. At times, it feels as if we are pitching our songs to them and begging for their attention. But it’s not just about music. A lot of things have changed and not all change is bad. Our cinema, for example, has changed; I believe it has become better. IMAGE: Sidharth Malhotra with Alia Bhatt in Kapoor & Sons. Which recent song has got you hooked? Rochak Kohli’s Tera yaar hoon main from the film Sonu Ke Titu Ki Sweety. Its simple lyrics will touch your heart instantly. It has a beautiful tune. I also liked the albums of Raazi and Manmarziyan. But nothing great has come out so far this year. IMAGE: A scene from the song Baarishein, featuring Atif Aslam. What is your take on Bollywood’s blanket ban on Pakistani artistes? It’s a political issue, we all know that. We all know that if there is no war, there is no business. A businessman’s biggest nightmare is peace. Half of the world’s economy runs on arms and ammunition. There are documentaries which tell you that. But if the socio-economic and political situation is such, artistes will suffer. Even in the past, artistes of war-inflicted nations have suffered. Look at the French revolution! Just a day before the Pulwama attack happened, one of my songs had released. It’s called Baarishein, featuring Atif Aslam. However, it was pulled down the very next day. When it comes to standing with the nation, I will. When the makers decided to take that song down, I supported them. Atif and I are artistes but we cannot be bigger than our nations. Songs will come and go. Artistes don’t have anything to do with it (terror attacks). Their common people are like our common people. Artistes anywhere in the world are the same. But to show solidarity with the nation in such a difficult time, I felt it was fine to take down the song.